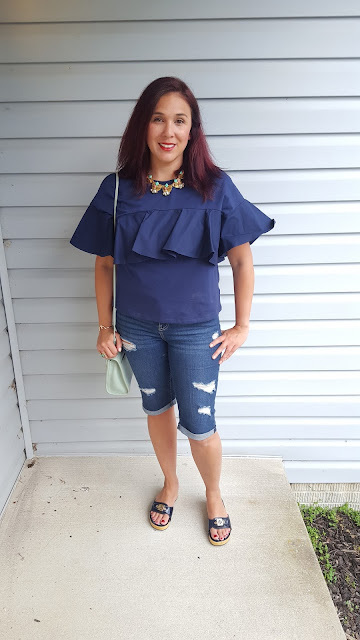 Ruffles are all the rage this summer. Unfortunately my Nordstrom shirt is sold out but I found a very similar one from SheIn. 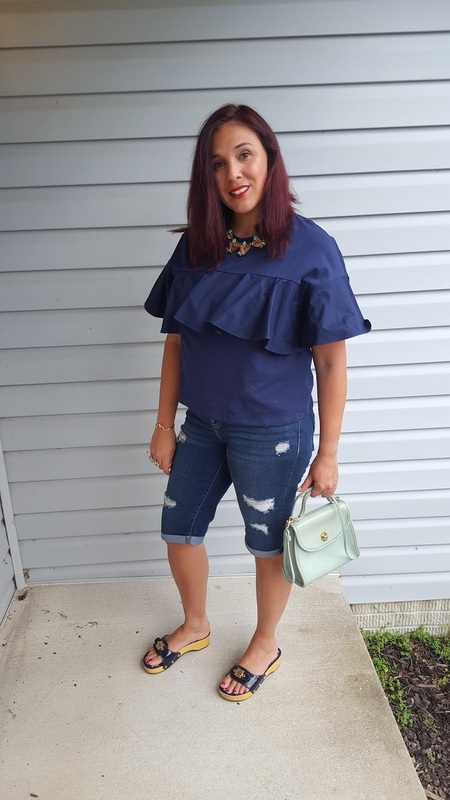 My Bermuda shorts I can't get enough of. I'm just not feeling up to short shorts this year and the length is perfect on this New York and Company pair. My bag is vintage coach and I'm so in love with this classic little kelly bag style. Find one that you love on eBay. I also suggest you try and find a Stella Dot Statement necklace on eBay. I'm not crazy about their current offerings but I love mine from last spring. I love this company. 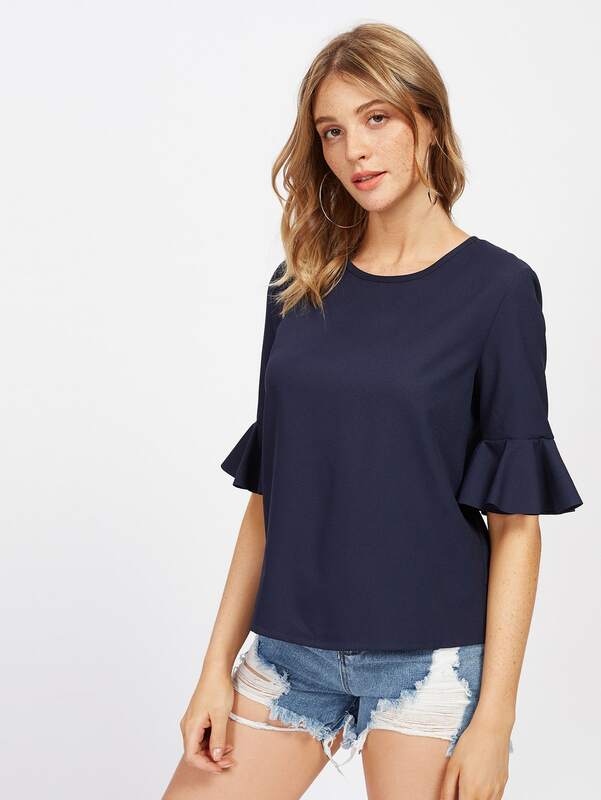 They make super cute affordable clothing and this navy ruffle sleeve top will work perfectly in place of mine. These shorts are super comfortable and very flattering. Want them unripped, try these. 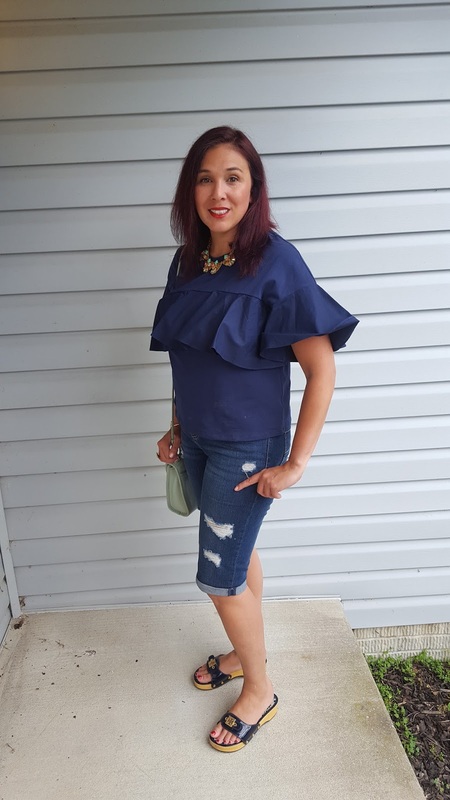 My Tory Burch sandals are old but here's a current pair of navy slip ons. This cute little cuff came from Rocksbox.com Get a free month with this code: amandabbff1130.